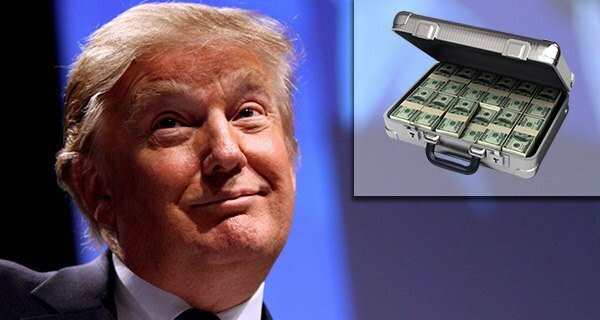 After over two decades of flirtation with running for the Oval Office, real estate mogul Donald Trump finally announced a 2016 presidential run by picking up a briefcase and slowly sliding it across a table. After denouncing the Obama administration’s foreign policy, Trump declared his own plans to be tougher on ISIS. “Allow me to elaborate,” he said, rubbing his hands together menacingly, then procured a $10,000 bill, doused it in lighter fluid, and set it on fire. He punctuated this by dropping the burning money onto the table and blowing the ashes out into the audience. Want more of the latest from the 2016 presidential race? Check out U.S. Economy Added 243,000 Republican Presidential Candidates In May.